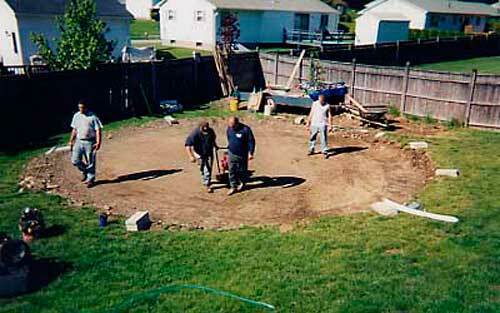 The site is leveled and prepared, removing grass, rocks, and any objects that might damage the liner in future years. 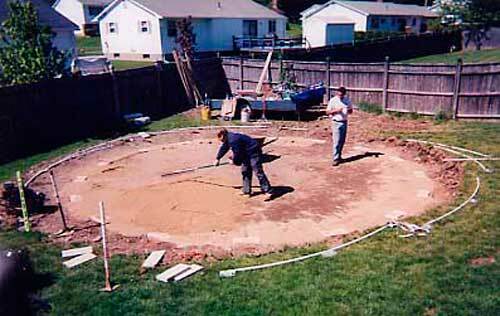 Shown here, the ground is being compacted to ensure a stable surface for the pool. Concrete footing blocks are set for each vertical wall support around the perimeter of the pool. The blocks are checked with a transit to ensure the pool will be level. Here we are spreading and smoothing the floor base material, producing a quality surface for the liner. 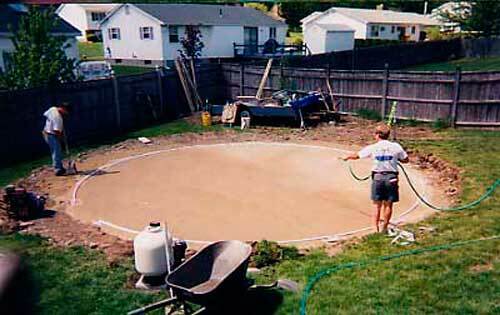 Here the wall track is precisely assembled around the perimeter of the pool. 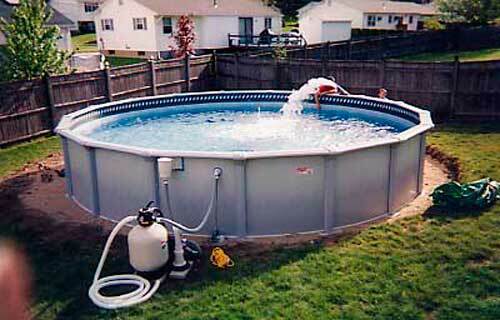 Also, the filter and pump system is set in place on a platform base. 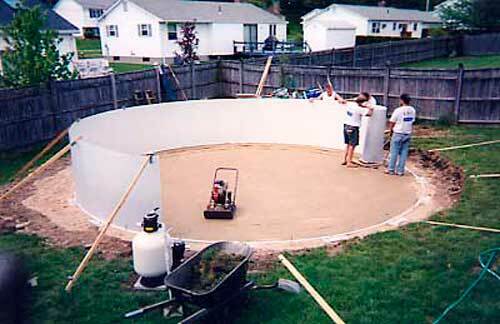 Next, the wall is unrolled and assembled into the perimeter track around the base of the pool. Once the wall is set, the base material is machine compacted and troweled to again ensure a stable, smooth floor in final preparation for the liner. 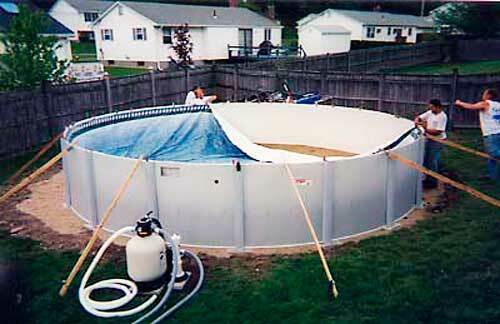 The vertical wall supports are all erected here and the pool liner is being set in place. Next, the coping top rail is assembled. 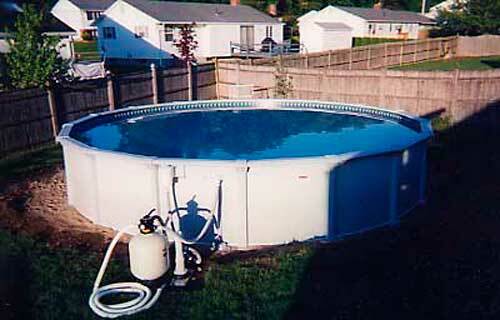 While a commercial vacuum is pulling the liner smooth against the wall and floor, the pool is filled. The plumbing connections to the pool are also completed. Now, this installation is completed and ready for final landscaping!